2 x 1 WUG Energy + - WUG Functional Gums S.L. This Energético chewing gum is an ideal complement for the realization of extreme sports. It is composed of Caffeine, Ginseng and Guarana, sweetened with steviol glycosides and has a pleasant mint flavor. 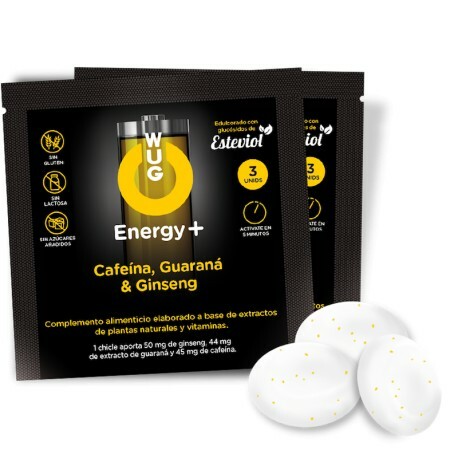 WUG Energy + is made from natural plants, does not need water or digestion, can be carried anywhere and weighs only 2 grams. It comes in envelopes of 3 units. This is an ideal supplement for extreme sports. 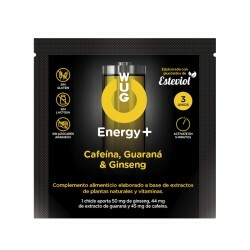 It contains caffeine, ginseng and guarana, and it is sweetened with steviol glycosides and has a pleasant spearmint flavor. WUG Energy+ is made from natural plants, does not require water or digestion, and you can take it anywhere since it only weighs 2 grams. You can find it packaged in envelopes of 3 units each. 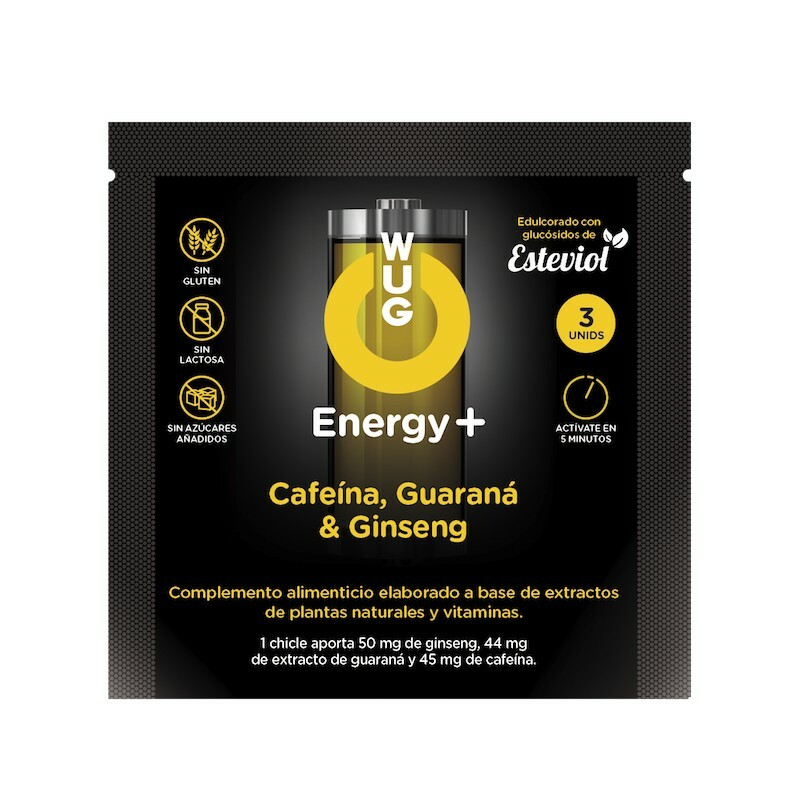 Take WUG Energy + before and during intense physical exercise. Caffeine is a central nervous system stimulant Its intake increases alertness, improves body coordination and reduces the feeling of sleepiness and fatigue, which can lead to a performance improvement. Another significant benefit is the capacity to reduce high sugar levels in the blood, thus reducing body fat. It stimulates the central nervous system, increases physical and intellectual performance, increases unspecific resistance to disease, reduces the frequency of disease caused by cold and fatigue. Has antidepressant effect. Another significant benefit is the capacity to reduce levels and sugar in the blood, thus reducing the fat content of the body. It is recommended to chew 1 gum 10 minutes before physical exercise, driving or studying. For those accustomed to caffeine or energy drinks, we recommend to take 2 gums. For people over 80 Kg., we recommend to take 2 gums. Do not take more than 5 gums a day. The effects may be different depending on each individual, depending on their weight, age, or health status.